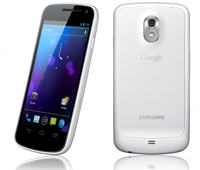 If you still haven't gotten your hands on Samsung's coveted Galaxy Nexus, now's your chance – Daily Steals is offering the 16GB Galaxy Nexus, unlocked, in either silver or white, for the crazy low price of $459.99. That's a whopping $290 off list price (and $70 cheaper than the last deal we saw). 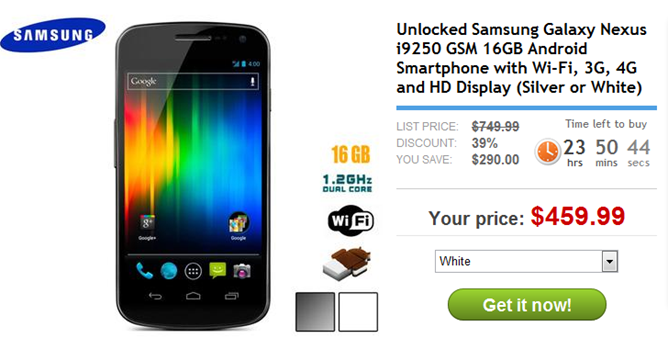 This deal will only be around until midnight on March 22, so those interested in grabbing an unlocked Galaxy Nexus at an awesome price should head over to Daily Steals (linked below) and take advantage of the discount.